It’s European designer gear – flat packed – and we love it! It sounds easy – simple plywood is carefully silk screen printed in on trend coloured prints and then laser cut into pieces that morph into beautiful pieces of furniture, decorator accents and toys. Designer Studio delle Alpi leaves furniture unassembled and flat packed to ship around the world to keep costs down for the customer. 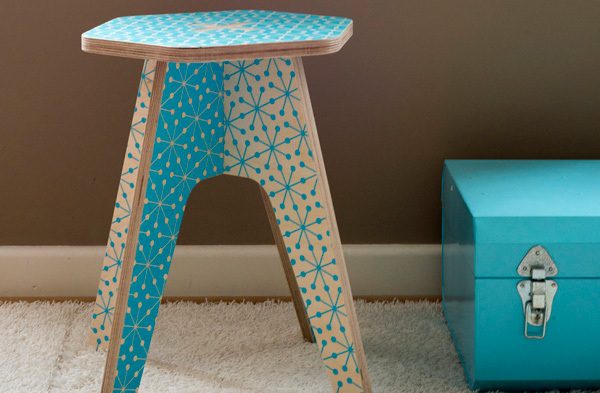 No glue or screws are required to assemble to uber cute Milk Stool. Priced at $148, the Milk Stool is available in yellow, blue or white and, at thirty centimetres tall, is perfectly sized for younger children. Team it with a stunning Tea Table ($329) for endless lunching, crafting, Lego building possibilities. All Studio delle Alpi furniture is assembled by the customer and all fits together like a puzzle for a sturdy, durable finish without the need for tools and fixtures. 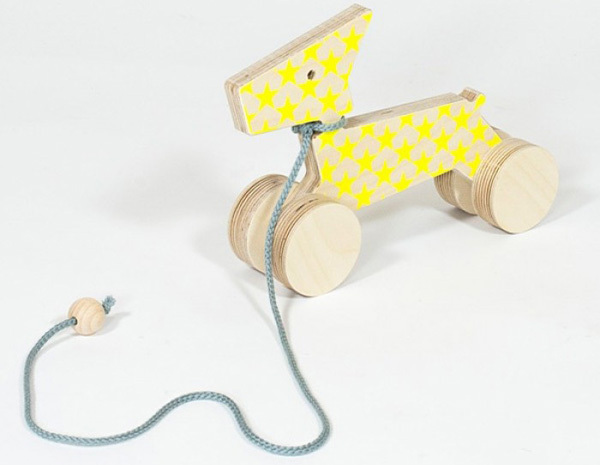 We adore the smaller Studio delle Alpi gear too – children will love dragging the fun Enzo the pull dog in pretend play – and even he is covered in an awesome silk screen printed design, making him one of the coolest pups getting around. You can shop Studio delle Alpi wares locally at Design Stuff.